New Halloween Weekend Celebration added! November 2nd-3rd, check it out on our activity page. 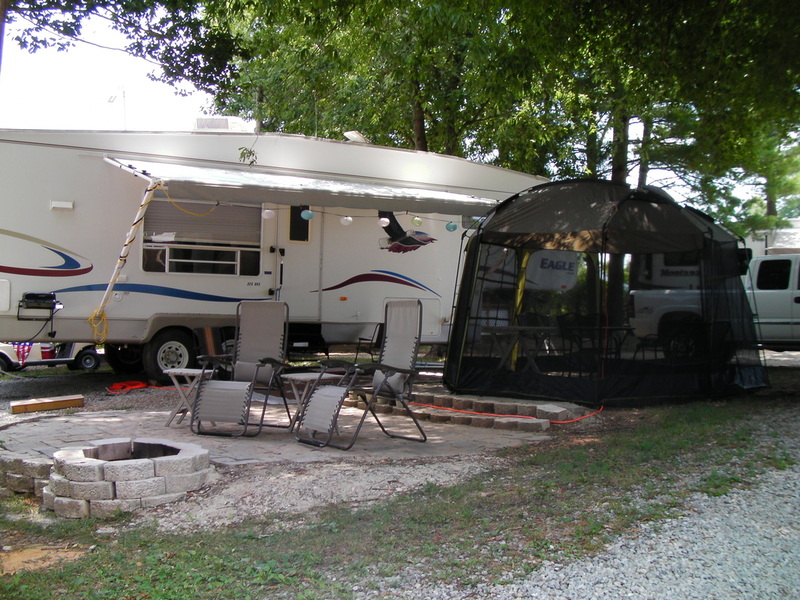 ﻿We are a family owned and operated campground and RV park located in the middle of North Carolina. 2017 is our 38th year, we have had 4 generations involved in the campground. We offer all types of campsites from our new Patio 50/30 Amp Full Hookup Pull thru sites, 50/30 Amp Lake Front Full Hookup Pull thru sites, 50/30/20 Amp Full Hookup Pull thru sites, 30 Amp & Water sites, 20 Amp & Water tent sites and tent sites with no hookups. 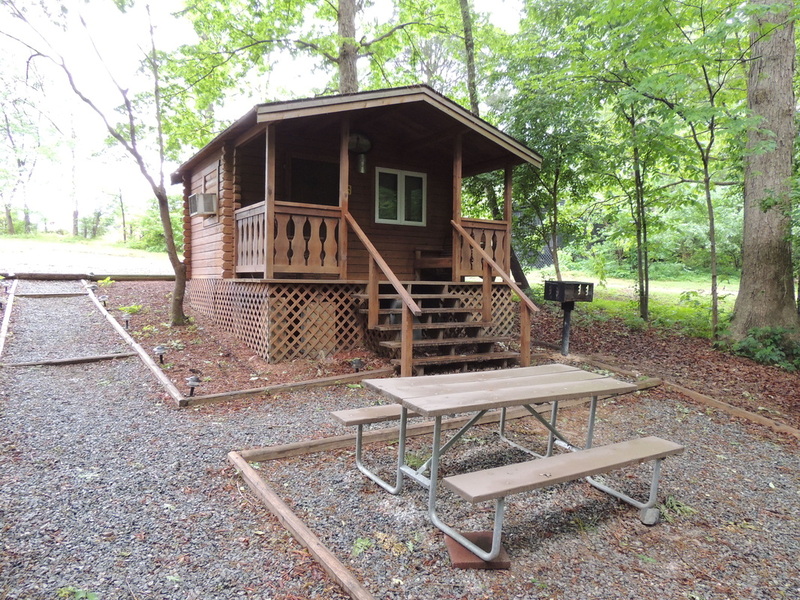 We have (2) two room cabins with a half bath, and a new unit with a shower in the bathroom, available to rent. We offer a first class facility with great amenities including a Olympic size Pool with large deck area and North Carolina's first Jumping Pillow installed in 2006, free Wifi and 48 channel cable. Bring your rod and reel and try your luck in our fishing pond. We have a camp store, laundry room, game room and can fill your propane needs bottles and metered. It is our hope that you will make lasting family memories while staying with us. We just had our yearly inspection with Trailer Life Good Sam and received a Top Park rating of 9/10*/9.5 for the 4th year in a row. Possible highest score is 10/10/10. 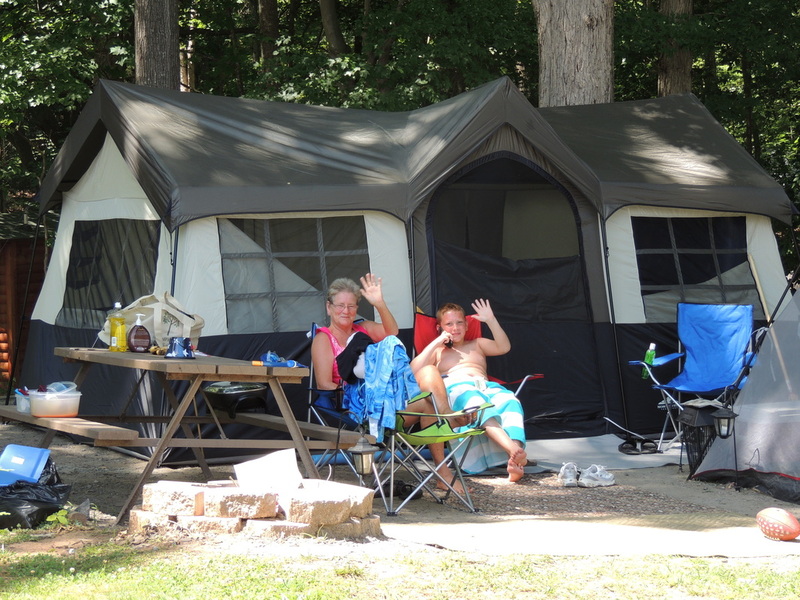 We offer daily, weekly and monthly camp sites for your enjoyment year round.